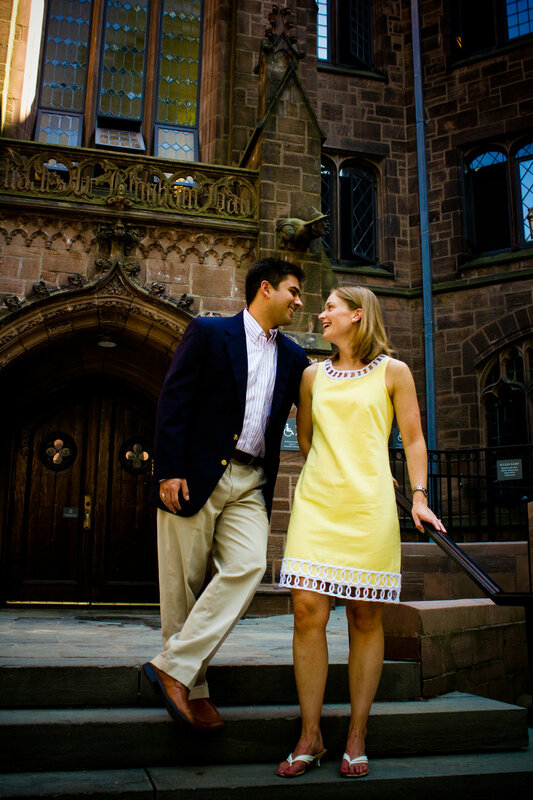 I love shooting at Yale. Love, love, love. 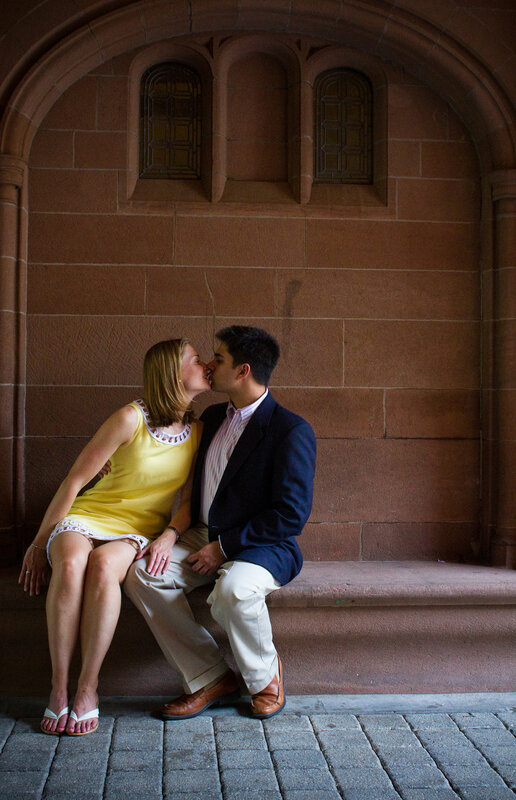 I walked around campus for Emily and Tom's engagement session and was just awestruck by the architecture, the little nooks and crannies and the stonework - oh, the stonework! Everywhere I turned was a new angle I wanted to shoot. And I will admit, I definitely imagined what it would be like to be Rory Gilmore and be walking around campus as a student. It felt good! Emily and Tom are so incredibly sweet, and Emily and I actually went to high school together, so I was thrilled she reached out to have me photograph their engagement pictures. They currently live down south, but were back up in New England for the holiday and we made it work! I loved Emily's dress choice for the shoot. I adore yellow in all it's cheerful glory and I thought it just popped so nicely against all the cooler tones buildings. Emily and Tom are incredibly sweet together. I feel like I'm hitting the jackpot getting to meet so many genuinely nice, kind couples who truly care about each other. It makes my job easy, so much that it doesn't feel like work at all. It's more like hanging out with friends. 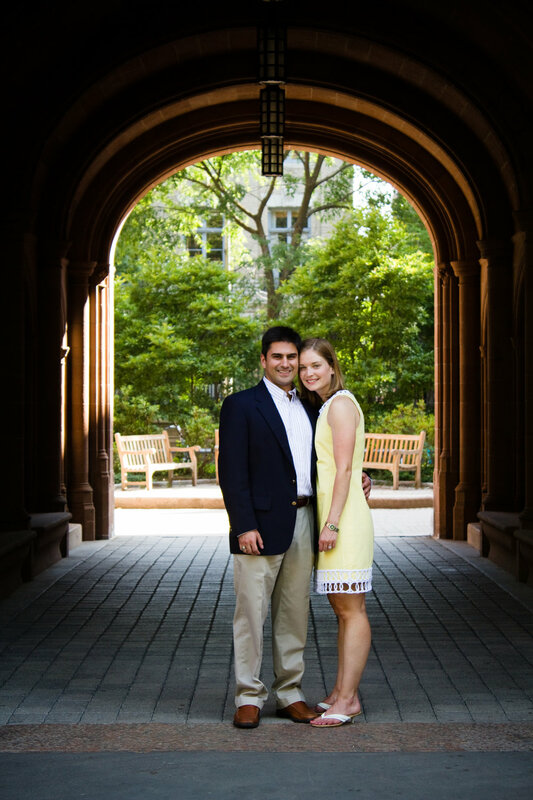 So I hope you enjoy Emily and Tom's summery Yale University engagement session!